The currently used system to classify the lower limb alignment (neutral, varus, valgus) does not consider the orientation of the joint line or its relationship to the overall lower limb alignment. Similarly, current total knee arthroplasty (TKA) alignment concepts do not sufficiently consider the variability of the native coronal alignment. Therefore, the purpose of this study was (1) to introduce a new classification system for the lower limb alignment, based on phenotypes, and (2) to compare the alignment targets of different TKA alignment concepts with the native alignment of non-osteoarthritic patients. Two recent articles phenotyped the lower limb, the femur and tibia of 308 non-osteoarthritic knees of 160 patients [male to female ratio = 102:58, mean age ± standard deviation 30 ± 7 years (16–44 years)]. The present study introduces functional knee phenotypes, which are a combination of all previously introduced phenotypes. The functional knee phenotypes therefore enable an evaluation of all parameters in relation to each other and thus a comprehensive analysis of the coronal alignment. The existing functional knee phenotypes in the female and male population were investigated. In addition, how many non-osteoarthritic knees had an alignment within the range of current TKA alignment targets (mechanical, anatomical and restricted kinematic alignment) was investigated. Therefore, it was defined which functional knee phenotypes represented a target of the TKA alignment concepts and which percentage of the population had such a phenotype. Out of 125 possible functional knee phenotypes, 43 were found (35 male, 26 and 18 mutual). The most common functional knee phenotype in males was NEUHKA0° + NEUFMA0° + NEUTMA0° (19%), followed by VARHKA3° + NEUFMA0° + VARTMA0° (8.2%). The most common functional knee phenotype in females was NEUHKA0° + NEUFMA0° + NEUTMA0° (17.7%), closely followed by NEUHKA0° + NEUFMA0° + VALTMA0° (16.6%). The functional knee phenotype representing a mechanical alignment target was found in 5.6% of the males and 3.6% of the females. The phenotype representing an anatomical alignment target was found in 18% of the males and 17% in females. Five of the nine phenotypes representing a restricted kinematic alignment target were found in this population (male 5, female 4, mutual 4). They represented 31.3% of all males and 45.1% of all females. A more individualized approach to TKA alignment is needed. 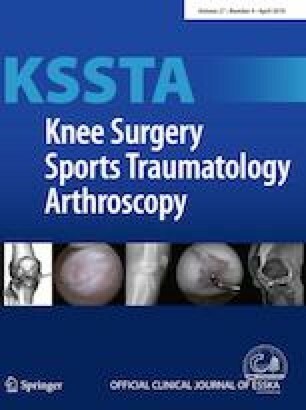 The functional knee phenotypes enable a simple, but detailed assessment of a patient’s individual anatomy and thereby could be a helpful tool to individualize the approach to TKA. The online version of this article ( https://doi.org/10.1007/s00167-019-05509-z) contains supplementary material, which is available to authorized users. The statistical analysis was funded by Symbios, Yverdon les Bains, Switzerland.